A pair of bald eagles soars overhead as cars move swiftly across the Rock River bridge in Roscoe. Nearby, the local restaurants offer their unique brand of dining flair to customers of all ages. Up and down its main streets, bicyclists and pedestrians make their way through town on a growing network of recreation paths that connects other familiar towns, far and wide. Roscoe’s schools too are known for instilling passion, creativity, self confidence and success in the community’s next generation. These are just some of the unique offerings and facts that have prompted nearly 11,000 residents to call Roscoe home. From its popular schools to its growing industry, its economic opportunities to its safe neighborhoods, Roscoe, Illinois is fast making an unforgettable name for itself. Located near interstate 90 providing easy access to Milwaukee, Madison, Chicago and Rockford. Roscoe is the place for your business, your family and your home. 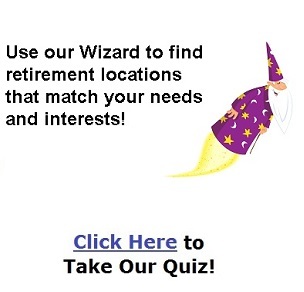 Why not check it out for yourself. Parades, street dances, festivals and a good variety of youth sports opportunities await. 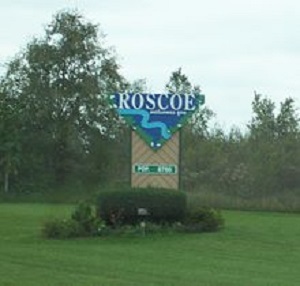 Roscoe, Illinois: To live it is to love it Roscoe has reached a population of 10,785 residents, located over a 13.4 sq. mile area. Country setting with the Rock River running through, multiple local parks and recreational paths, Rock Cut State Park is only 10 minutes away. We are a small town with local shopping at unique boutiques and great restaurants, and so much more within 10 miles. The famous "Historic Auto Museum" is right in town! With two large towns close by, you are only minutes from large theater venues. Jan 11.6 F° 19.1 F° 26.5 F° 1.3 "
Feb 16.9 F° 24.3 F° 31.7 F° 1.3 "
Mar 27.1 F° 35.4 F° 43.7 F° 2.2 "
Apr 37.7 F° 47.6 F° 57.5 F° 3.8 "
May 48.0 F° 58.8 F° 69.5 F° 3.4 "
Jun 58.0 F° 68.6 F° 79.2 F° 4.6 "
Jul 62.3 F° 72.4 F° 82.5 F° 3.8 "
Aug 60.1 F° 70.1 F° 80.1 F° 4.3 "
Sep 51.6 F° 62.3 F° 72.9 F° 3.6 "
Oct 40.7 F° 51.1 F° 61.5 F° 2.4 "
Nov 29.3 F° 37.1 F° 44.9 F° 2.7 "
Dec 17.8 F° 24.8 F° 31.7 F° 1.8 "
We have four seasons, with summer fishing to winter snowmobiling & cross country skiing.